Faster isn’t always better – but it certainly helps! Many (yea gods many, many!) 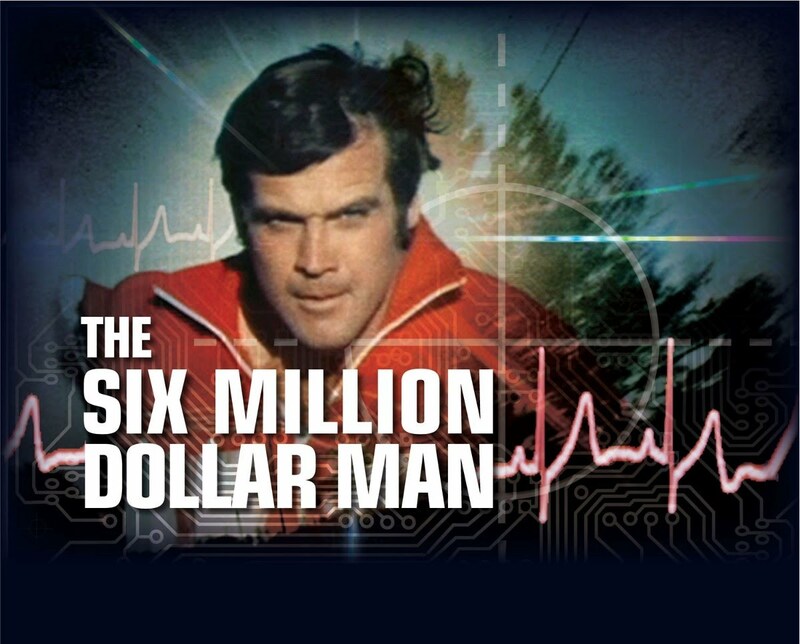 years ago in the days of “The six million dollar man” Mad Magazine brought an issue with a parody of it and somewhere along the way Steve Austin was shown on a hospital operating table, with people saying how much stronger and faster he’s going to be and a curvaceous nurse with a knowing smile says “Faster isn’t always better” – you get the drift – hey it was the 1970’s!! Anyway this is about the speed of response and how it seems that, as the technology to speed up communication has improved, think SMS, email, mobile phones, Facebook, Twitter, WhatsApp, SnapChat etc etc, the response time experienced by people seeking a response (quickly) has actually increased – dramatically. And this seems true across the board – I’m thinking from parent to child communication all the way to business to customer communication! It’s an inverse relationship! You will have realised that a great deal of this site’s tilting at windmills revolves around the issue of customer service, and just how damn important it is – to the customer. In the business world it seems that technology is enabling companies to de-personalise and automate their customer service – I mean just how hard has it become to find a telephone number to speak to some companies (Ryanair you’re the worst here!) and worse still thanks to ChatBots you can think you’re talking to a real person and then discover it’s a machine – this is particular technique sued by those companies who phone you up and say “I understand that you’ve been involved in a accident recently” and when you say “Yes” – because you want to waste their time 🙂 you get transferred to a real person…. So if we accept that businesses are looking to reduce their costs by automating customer service then let’s see how well they’re doing – on maintaining levels of customer service. Let’s start with online contact forms..
Basically a total waste of your time and effort. I’ve recently tried to contact a range of organisation such as local authorities, building companies and phone repair services using web forms and I’ve heard nada – so unless you’re looking to apply for a Visa for the UK then I’d pass on these if I were you. Do you remember when email as really cool – it changed communication speeds dramatically from days to minutes, seconds even – but sadly that’s not the same now. How many of you get emails from companies which when you look at the details find that the address it came from is do_not_reply@ – that’s just taking the p*ss! And when you do find an email address to send something to you’re lucky if you get the usual autoresponder saying we’ll respond to your email in 5 working days (if we can be bothered!) and then when they respond they either ignore the points you raise or worse still provide some generic garbage – you know who you are! So again don’t use – unless it’s your only option. I used to work in the mobile commerce “space” man… and we used to promote SMS as the most intrusive channel of communication – and that’s true as mobile phones become ever more indispensible, they’re usually switched on they buzz to tell you you’ve got a message. Sadly that buzz doesn’t come in the form of an electric shock to make the person or company respond. In this instance the younger the person the slower their response is – my boss responds pdq – my kids can take hours – and I really mean hours (even overnight) to respond. But woe betide if I fail to respond to a message from them – they’ll be badgering me in no time at all – kids, pah! SMS is much more likely to be used in a family, friends, associates circle scenario rather than with organisations so bear that in mind when you choose this medium. I’m just lumping them all in together because I’m old! Well actually I’m leaving Twitter till last. Basically most of these channels are turning into broadcast media for large companies – have you spotted that yet kids? There are more and more AND MORE adverts filling up screen space where you want to communicate. Actually there’s a lot of individual broadcasting going on as well – my life is better than your life stuff – here’s another amazing place I’ve been to (but inferring that you haven’t) – we’re all guilty of this – yup me too 😦 Anyway this ends up with these channels becoming more ephemeral as people get bored quicker (‘coz their attention spans are getting shorter) and move onto something new. Yup Twitter – it’s brilliant for this. At it’s heart it’s a broadcast medium so everyone in your circle can see what you think – and being limited to 280 characters means you have to pithy and keep to the point – perfectly matching those short attention spans. Better still most companies have their own Twitter feeds which they’d like to use to broadcast their tedious advertising to you but it means, in return, you can call them out. The really big players and I’ll cite BT here as an example of good use of social media for customer service actually took notice of my tweet and went to the trouble of getting someone from their customer service team to call me – yes a human responded by phone! That’s joined up service (shame their broadband network is so crap though!). Insurance companies, energy suppliers – they do not like being slagged off (entirely justifiably though) on Twitter. So dear reader my top tip for getting a rapid response from companies is to find their twitter account and then use it. As for communication with kids – sorry the only way to do that I think is via financial means – bribery or the witholding of funds is usually a good ploy!